If one copy of every record on which he performed were placed end to end, they would line both sidewalks of the one-mile stretch between Owen Bradley Park and Belmont College along 16th Avenue, Nashville's famed Music Row. The musician holding this distinction is bass player extraordinaire Mr. Bob L. Moore, who, with over 17,000 recording sessions to his credit, may well have played on more recordings than any other musician in the world. Bob's talents are heard on literally hundreds of million selling records that feature some of the greatest legends in music history. 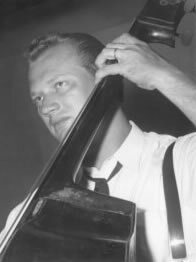 Life Magazine (special edition September 1, 1994) named Bob Moore as the number one "Country Bassist" of all time but many recognize Bob Moore as the being the best "all around" Bassist of all time. His musical experiences are as diverse as having worked on a Big Band for twenty years, performing by invitation at the Newport Jazz Festival and recording with Arthur Feidler and The Boston Pops. Bobby Moore has performed as top studio instrumentalist for decades having worked with such legendary artists as Elvis Presley, Frank Sinatra, Wayne Newton, Sammi Davis Jr., Quincy Jones, Andy Williams, Sister Rosetta Tharpe, Johnny Halliday, Roy Orbison, Connie Frances, Burl Ives, Julie Andrews and Bob Dylan. His bold, distinctive, bass lines have graced many timeless recordings such as "Crazy" as performed by Patsy Cline, "He Stopped Loving Her Today" by George Jones and "Rainy Night In Georgia," Brook Benton.